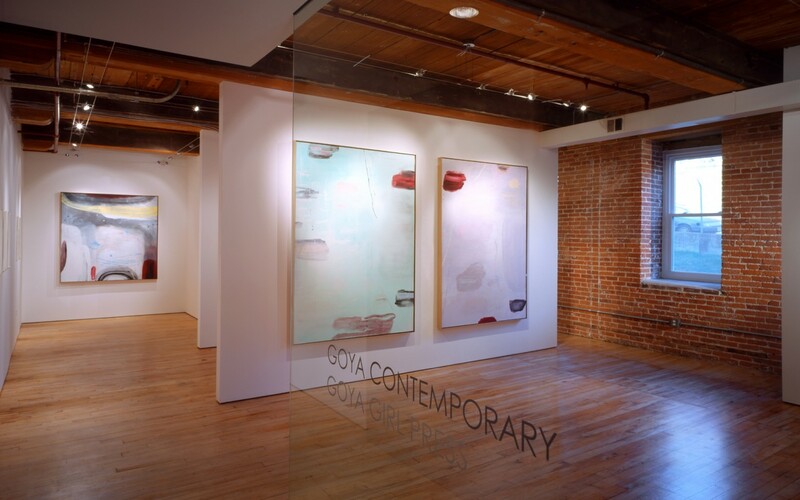 Within the framework of the historic Mill Centre, Ziger/Snead redesigned and expanded the gallery and office space for Goya Contemporary. 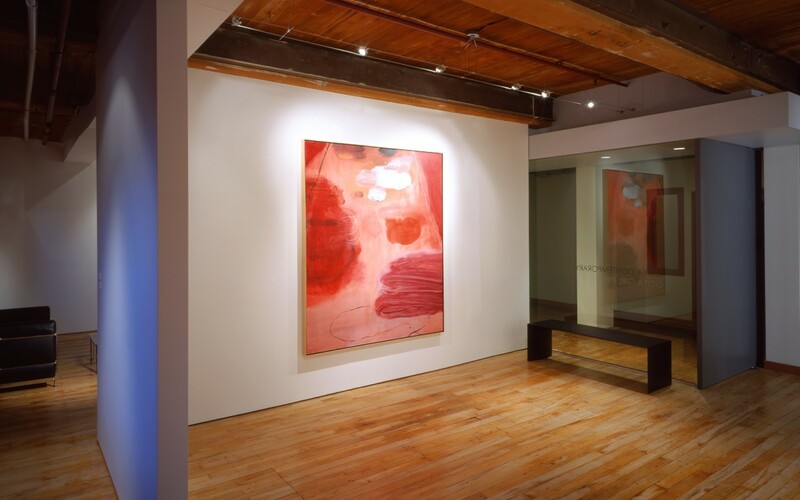 Working closely with the gallery owner, the architect strived to create a clearly recognizable and elegantly simple, flexible space from two existing rooms. 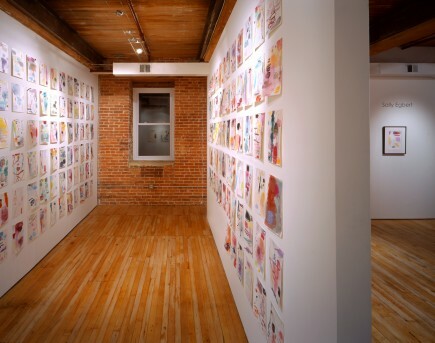 The former entrance, a small steel door leading to a long bare wall, was reconfigured with large planes of glass and a wide pivoting door which reveal gallery exhibits even after the museum has closed. The clean, modern composition of planes and spatial relationships provides long views within a small space. 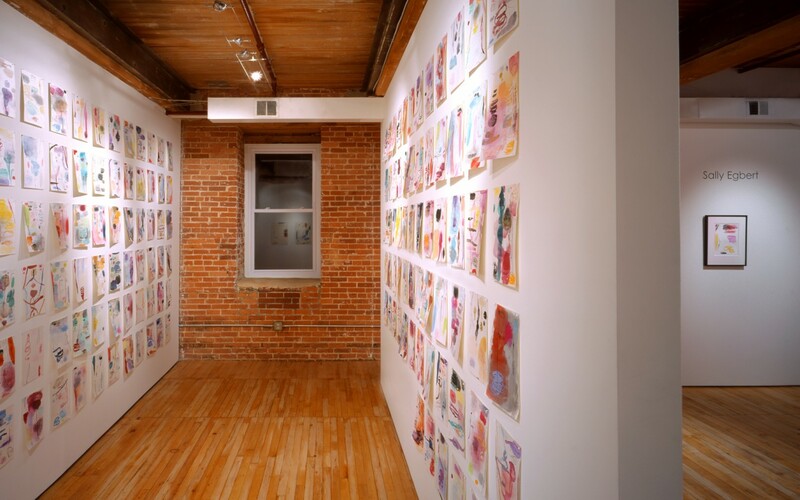 A wall at the far end of the gallery conceals the director’s office that also doubles as additional gallery space. 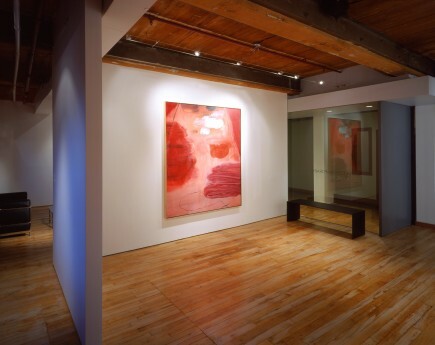 On the other end of the gallery, a private showroom is concealed behind a translucent glass plane. 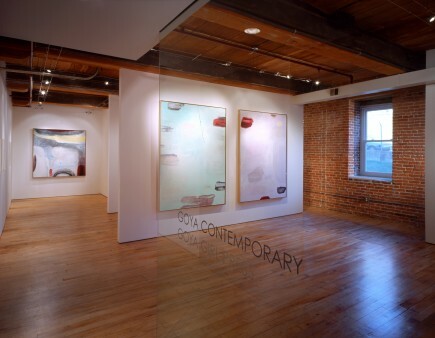 Throughout the gallery, clean planes accentuate both the beauty of the surrounding mill and the carefully-hung Modern art.